Albertâs as it is affectionately known is a pub in the same family ownership for over a 100 years (4 generations) and has retained its original character but changed appropriately and professionally over the years and survived. 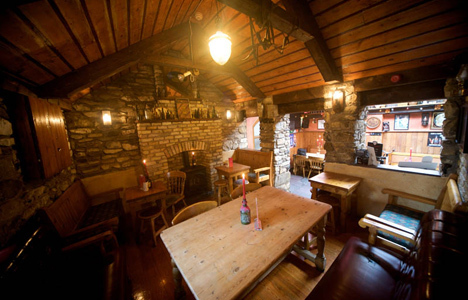 Itâs a pub with a warm and welcoming atmosphere and a cheerful and caring staff that serve top quality draught Irish beer, stout, ale and a wide selection of bottled beers, wines, spirits and cocktails. Albertâs has the traditional Irish bar charm offering a unique interior design with lots of seating, full of nooks and crannies for its customers to chat within. In contrast to the old style the bar has many luxury extras such as HD plasma technology, ideal for viewing weekly sporting events and matches. Lying outside the bar is the beautiful "ash garden" with seating nestled amongst potted plants. A great place to go for a drink on your own or with a group of friends, spotlessly clean, safe and where you will feel at home and will go away wanting to come back. office parties & private parties. VIP room also available for more intimacy.